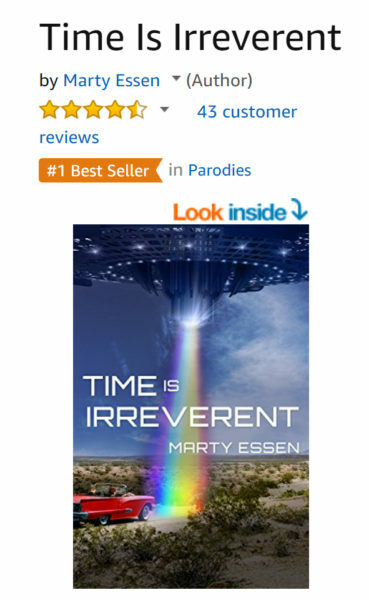 I’ve been working incredibly hard to push Time Is Irreverent up Amazon’s charts. Today the book reached Best Seller status for the first time in the United States. It’s now the #1 Best-Selling Parody! The novel is also #2 in LGBT Science Fiction, #2 in Humorous Science Fiction, and #3 in Political Humor, so I can’t let up now.